Systems of information on the windshield they are still something very unusual in our cars, even though some popular and not too expensive, models already equipped with a HUD system Basic, but functional (as for example the Toyota Prius), although it is normal to be an optional equipment and rather expensive or luxurious models. However little by little the different manufacturers are betting on this system and it is very likely that some ten years from now is much more widespread. The advantage of the system is clear: can display fundamental data while driving against the line of our eyes, without requiring that we away the view of the road or half a second. 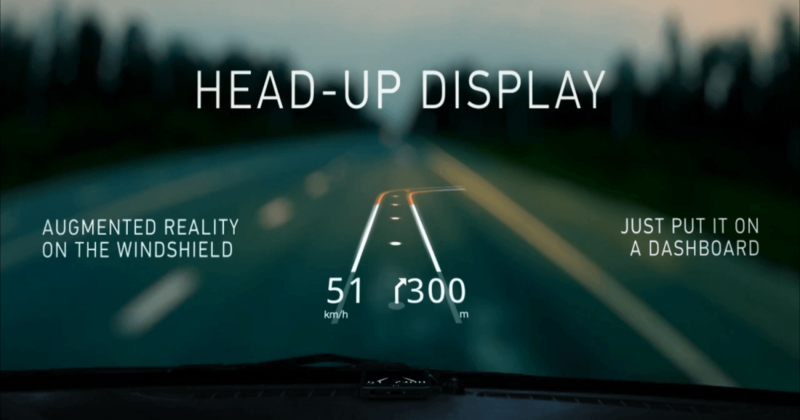 HUD, as many of you know, means a Head-Up Display, i.e. display (a “ screen ” if you prefer) you can see with your head high, without bending it, nor avert his gaze from the horizon. He was born as such in military aviation, to add relevant information of flight and sight of goal on the glass of the cabin. Is based on the principle of reflection light on a glass. So it is basically a projection on this system. Logically thinking such which does not usually result in image always sharp or contrasty, so they tend to add some more to the equation factors. One of them is to increase the reflectivity of the bracket, for example making this somewhat more opaque and dark (for example a tinted glass). On other occasions it is projected on a specific sheet attached to the glass. Another (the most effective) strategy is to use the effect of polarization, If light projected is polarized, and the surface on which it is projected is also (with a surface treatment), will be caught (not will pass through glass) and behave as an opaque surface, but only for the light that is emitted in a certain direction, letting the light that comes in other directions (that abroad is still can seen through the glass). The fixed (information appears in the glass of the booth). The hull, called HMD, Helmet Mounted display (showing information on the own visor or on a lens in front of one eye, subject for a sidearm). The combiner (i.e. the surface on which the image is projected). Projector (which generates the image and directs it towards the combiner). The unit of computation (which processes the data from different sources and organizes them for screening). Initially generated with a small screen CRT (cathode ray tube) which is reflected in a mirror and then to the windshield. Also used as the (modulated by an LCD screen) LED solid light sources. A guide to optical waves that generates the image directly in the combiner can be used (based on the performance of optical fiber). A laser scanning can also generate the images directly on a transparent surface. Lately you can also use transparent screens LCD or OLED. As I said, some models of cars already equipped, either standard or as an option, a system of information on the windshield. It is normal that the data is projected in front of the driver at a height higher than the box of instruments. Hidden from the visual of the driver, there is a hole in the hood that covers the instrument Panel in which is located the projector which will generate the image on the windshield. On the windshield, you may notice, depending on the light, and if you have good eye, a small box with a tint or tone slightly different (is the specific area of the combiner). Today the screening is usually done in monochrome (in a single color without shades or gradients) but are beginning to appear in systems that combine three or four colors. The information are not always match according to the manufacturers. 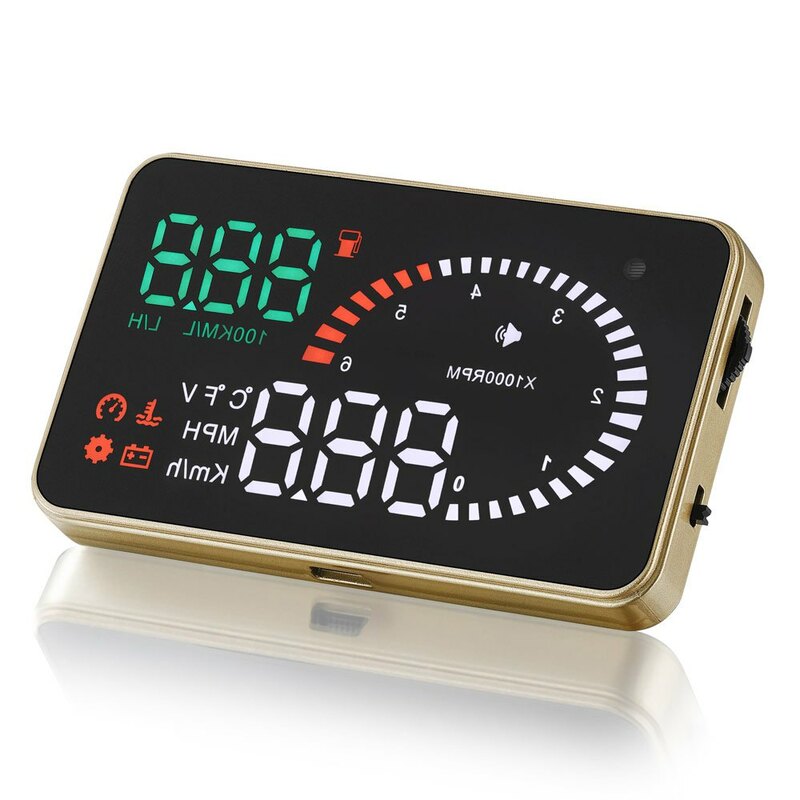 The minimum is display speed, but is also often show a schematic Rev counter, witnesses of lights or change, and even signs of the GPS Navigator. 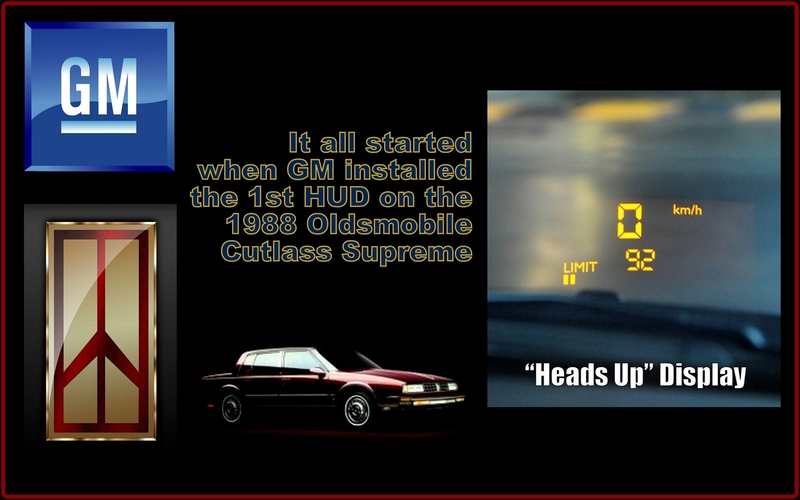 Considered that it was General Motors, in 1988, the first manufacturer to implement a HUD system in an automobile, and incorporated one color in 1998 at the C5 Corvette. Toyota, Lexus and Honda also have several models, as well as Citroen (in the C6), Audi or BMW (in more and more models, 5 series, 6 series, X 3, X 5). The French manufacturer Peugeot it opted for a slightly different to these other brands HUD system, rather than projecting directly onto the windshield, it does so on a small Panel of translucent polycarbonate behind the instrument Panel, that it can be hidden if desired (is away). It is the case for example of the Peugeot 3008. I can’t say which of the two options is better. The system with Panel It tends to allow visualization of the images sharper, but the edges of this can view to change focus between the displayed data and the horizon, and can cause more eyestrain. 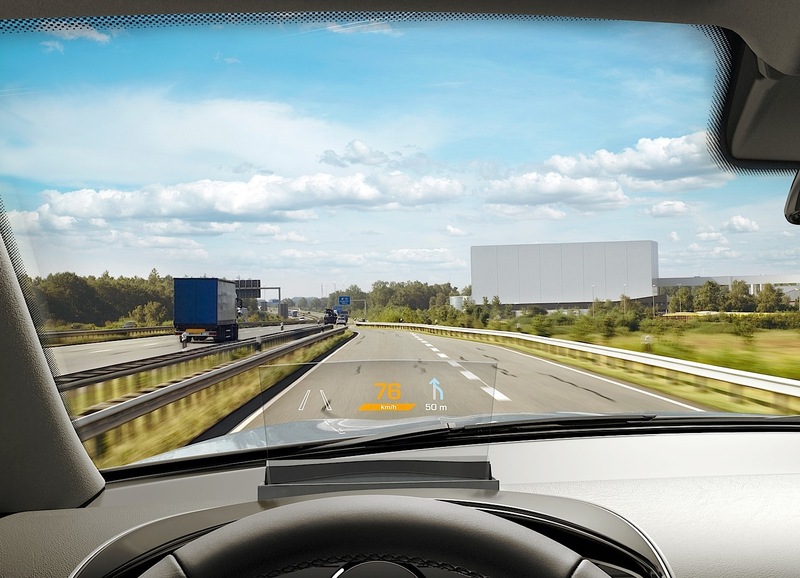 At the moment the majority of manufacturers (including Citroen, Peugeot Partner) opt for projecting directly onto the windshield. Both systems allow you to adjust the brightness of the projected image, either manually or automatically (with light sensors) to the outdoor-lighting conditions, to see the text clearly whatever the circumstance. If you are curious to see in operation system of retractable Panel of Peugeot here’s this explanatory video. If you like to have HUD in your car, and did not exist even as an option when you bought it you, do not worry, you will always be I able to buy one of “ device ”. Increasingly there are more options in the market quite varied (though not yet all are marketed in Spain), and also some brands are investigating in interesting projects that you can see the light within not many years. It costs about 100 euros, and is a very basic and simple solution. 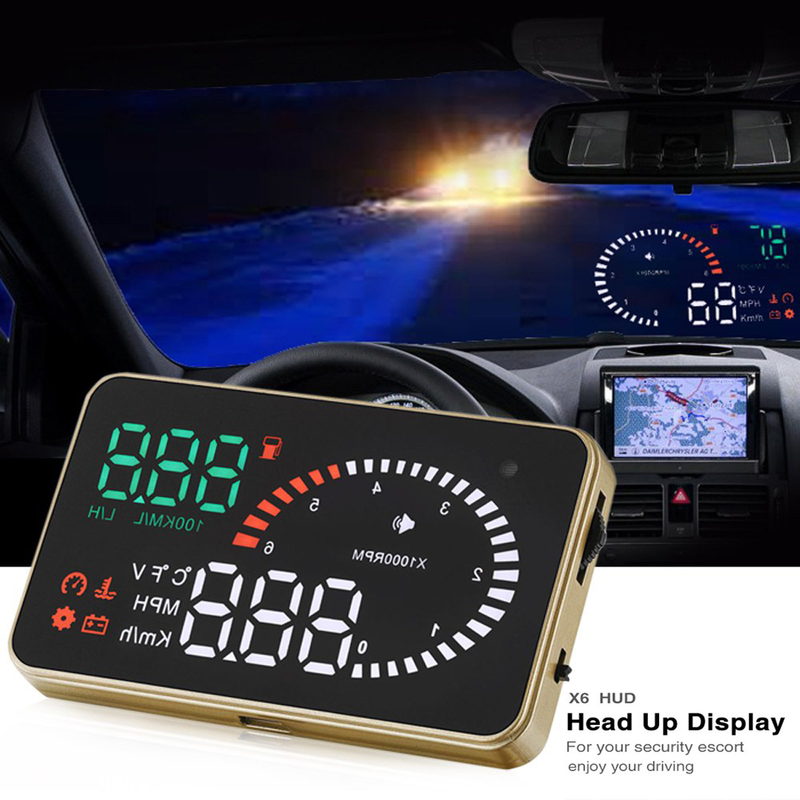 The device is placed on the dashboard (and that Yes, must be connected to the speedometer to know the speed) and displays the digits by simple reflection on the windshield (so on the screen look backwards in mirror mode). The screen has led backlight. So it is well requires a workaround, you must attach a Black Blade elliptical on the windshield (which will work almost like a mirror) where we want to see the image, aligned with the device. It only shows the speed and alerts of maximum speed (which must be programmed manually). In the video you can see performance clearly. In this case it’s a browser GPS a bit special, the image which under normal conditions would be directly on an LCD screen, in this case is reflected in a mirror, and the image of the mirror at the same time reflected in the windshield. The image has various colors and a 13,000 cd/m² brightness, so the manufacturer ensures that it looks properly even with plenty of sunshine. Without being prepared to projection windshield, and without adding any adhesive foil on it, I have the feeling that would not always as well as we’d like. To handle it stands a sat command with several buttons on the steering wheel. This is another browser GPS enabling project data on the windshield, talked on his day of it on Engadget. 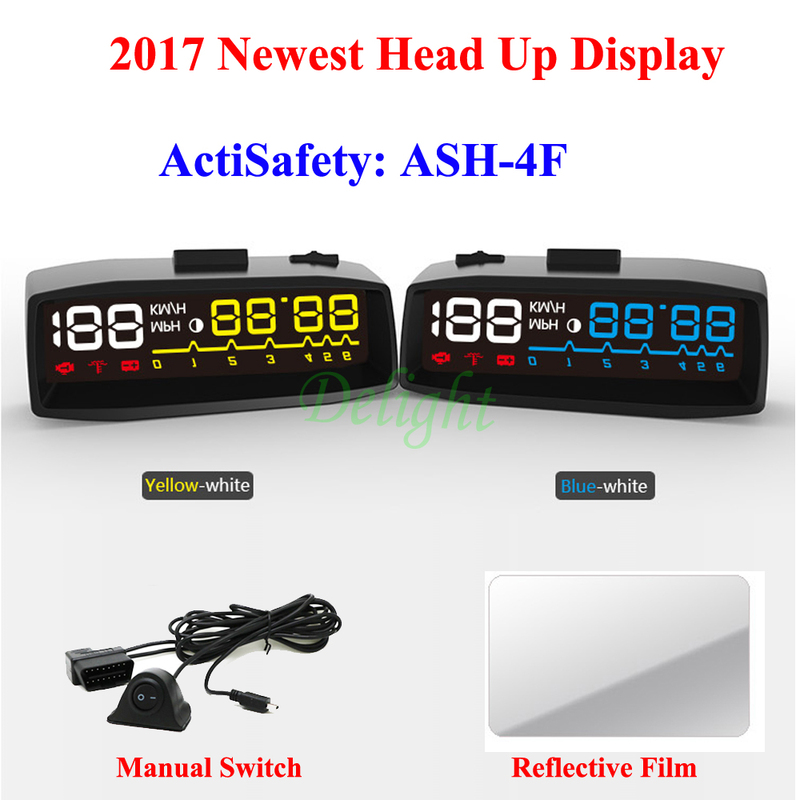 Consists of two parts, the browser itself, with its 5 color touch screen ”, which attaches to the windshield (like any other conventional GPS) and a unit that is placed on the dashboard and reflects upon the windshield, in monochrome, schematic indications. It is not connected to the speedometer, simply shows the maneuvers of the GPS (again say the same thing that before on the visibility with plenty of sunshine). Pictured is a very clean install, but if we keep in mind that it is a GPS that you can take anywhere, you have to know that in reality are various cables, the power (to the cigarette lighter) and the data between the projection unit and unit base. This system was also discussed in Engadget. 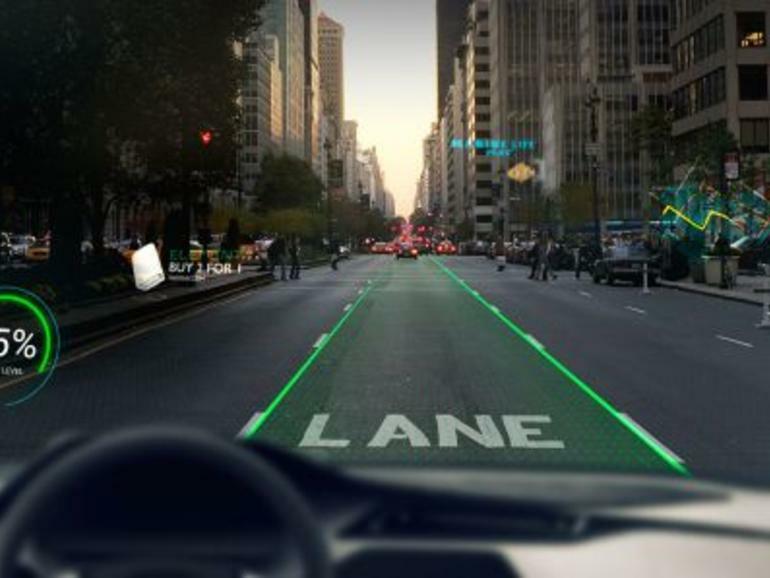 Really is a projection system that you can connect to any Android device, and that it uses a laser scanning to display images, for example an advanced mobile phone directly on the windshield. Designed so information could be either, depending on the application that is running on the device Android, It could be the GPS Navigator, an incoming call, or a web page. This projection allows complex and colour images. The transfer of data between the device and the projector would be done by bluetooth wireless connection. For now it is only a prototype, but it seems a promising system, which could be integrated in the car either could be an accessory to acquire a posteriori. 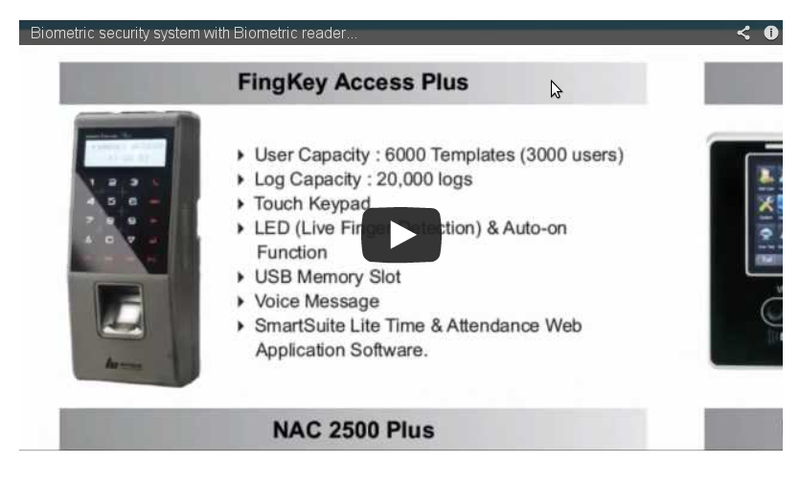 According to Pioneer could be marketed in 2012. In addition to this small review, could talk about any implementation of HUD for the iPhone, so it is enough to pose this on the dashboard, and reflect the images of the screen on the windshield. Sorry to tell you that it is not very well, especially when there is plenty of light (in this case is that virtually not see anything). 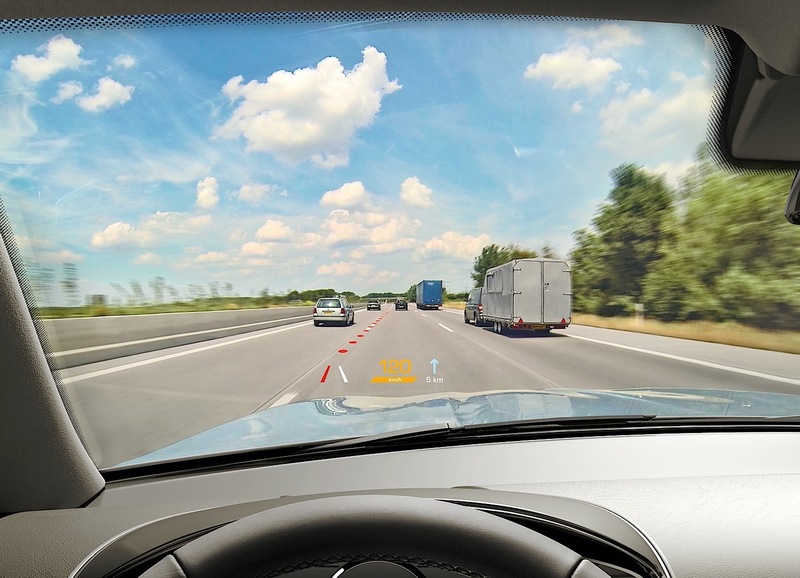 All indications are that the cars will be increasingly multimedia, they will integrate multiple functions and digital devices (GPS Navigator, Internet in the car, phone, etc) and the best display element will be the windshield. It is likely that this project much more information than simply the speed. 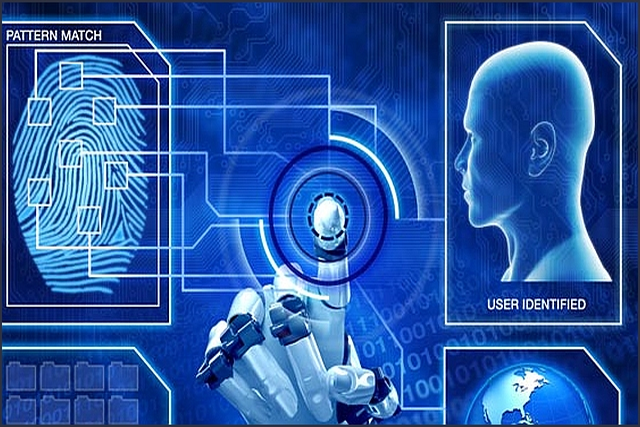 Even intends to synergize these functions with augmented reality, to improve security, either to increase the information. For example, using cameras that capture what happens in reality, may accentuate the lines that delimit the lanes of the highway, may be carried on the windshield the maximum speed limit on that stretch, or you can warn of the presence of pedestrians or bicyclists near our history. Associated with the GPS Navigator, you can display on the windshield that we are close to a petrol station (reminding us that we are already in the reserve) or that there is a traffic jam on the road that we are a few kilometres further along, sugeriendonos an alternative route. 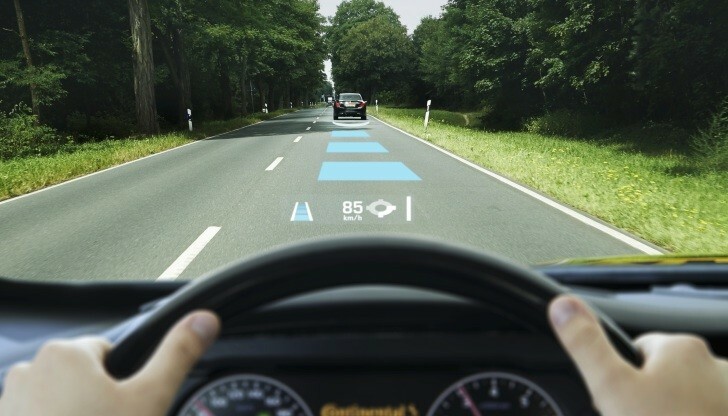 This is what proposes Carglass in his vision of the windshield in the year 2020: Autoglass Envisions. Audi, with its Aida 2.0 system, is also investigating about this same, but also a sort of holographic, and three-dimensional projection of maps and routes of the browser, as well as other particulars relating to augmented reality, proposing as events, menus, etc..
An example, driving our car pass next to a restaurant, and on the windshield we are informed of the culinary speciality of the day. Another example, we pass next to a theater and see the poster of the work that is represented projected. We must not forget something very important, as in anything else to talk about project information onto the windshield, the excesses tend to be negative. So it should not fall to give as much information, at all times, and on any subject, as for distract the driver, or saturate it in such a way to increase their fatigue at the wheel. 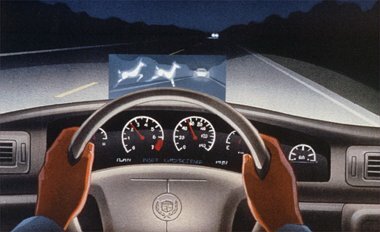 NOTE: Systems of infrared vision (which can be projected on the windshield, or displayed on a screen), I will talk about another day.